A product of the cornfields of Iowa, Hannah comes from a long line of strong people. 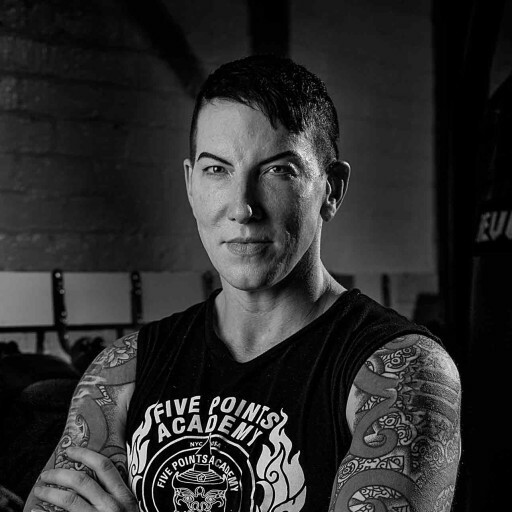 Since moving to NYC in 2000, she has tackled everything from fashion design to Gender Studies, but she has a special passion for combat sports, strength and fitness training. 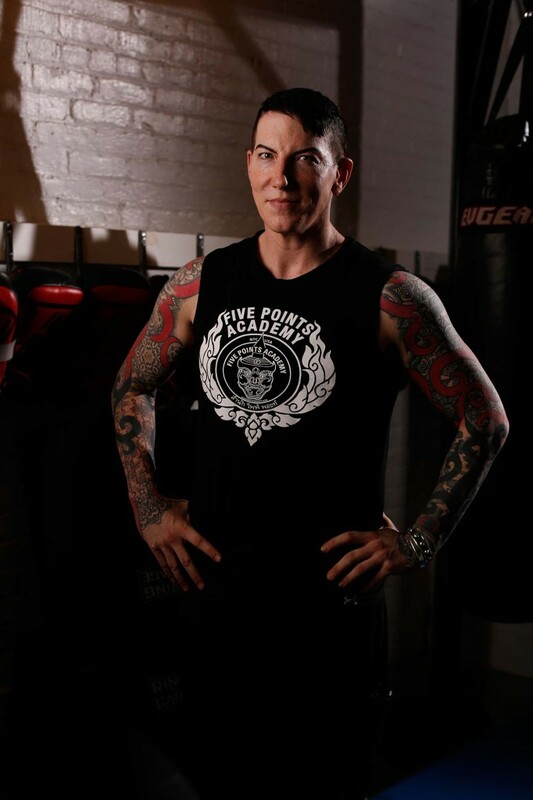 She holds a green-and-white prajeat in Muay Thai under Arjan Steve Milles, and a blue belt in Brazilian jiujitsu under world champion Marcelo Garcia. She also bakes crazy-delicious ginger snaps.